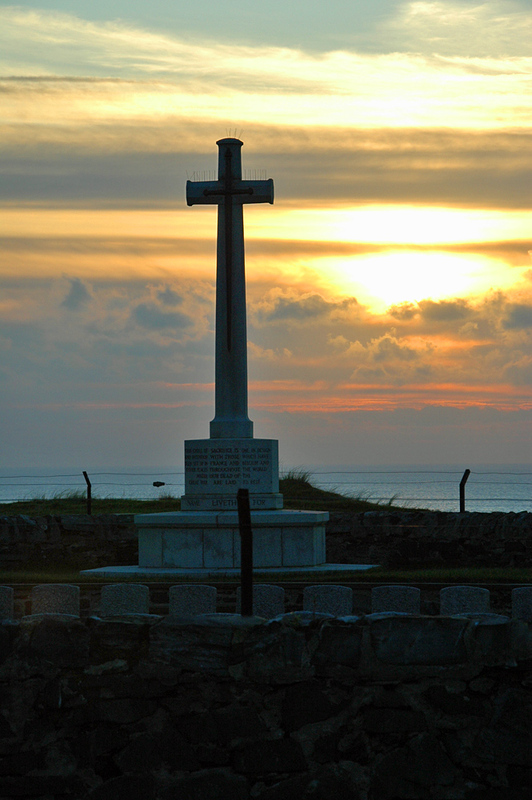 The Kilchoman military cemetery at the top of the dunes overlooking Machir Bay during a cloudy sunset. This entry was posted in Cloudy Weather, Landscape, Repost, Sunset and tagged Islay, Kilchoman, Kilchoman military cemetery, Machir Bay, Rhinns of Islay by Armin Grewe. Bookmark the permalink.